With temperatures already in the eighties in the Dallas-Fort Worth area, it’s a good time to make sure your sprinkler system is in tip-top shape. Doing so will save you water, which in turn saves you cash. (Did you know that minor water leaks account for more than 1 trillion gallons of wasted water each year?) And it may save you a lot of time and even more money if you prevent minor problems from escalating into costly major repairs. Many DIY sprinkler tune-up guides exist. After reviewing several, we’ve laid out the seven steps you can take to do your own springtime sprinkler check up. We’ve also included links to the 2017 watering restrictions and schedules for many of DFW’s major cities. Step 1: Make sure your soil is frost-free 12-inches deep before you do your inspection because starting your sprinkler while the ground is frozen can damage your pipes. Our average last frost date is around Mid-March, so April or May is a good time to run through these seven steps. Step 3: Inspect your sprinkler heads, nozzles, and any visible pipes. Remove any dirt or debris that may obstruct them, and replace any parts with obvious damage. These repairs are almost always DIY-able, or you can hire a sprinkler professional to help. Step 4: Inspect your sprinkler system’s water valves for leaks, and repair or replace them. Valve repairs may require a plumber, depending on the nature of the issue. Step 5: Turn on your sprinkler system, zone by zone, to confirm each sprinkler head works and distributes water most efficiently. Look for water on sidewalks, patios, driveways, or streets, and adjust the heads in that area to reduce it. These are usually easy DIY adjustments. Step 6: Check your water pressure, and adjust it at the main valve if needed. Signs of low water pressure include pop-up sprinklers not fully extending, spray not reaching certain areas, or doughnut-shaped dry areas in the lawn. Signs of high water pressure include sprinkler nozzles blowing off, misting or fogging water spray, or spray overshooting certain areas. Frequent pipe breakage can also indicate the water pressure is too high. Step 7: After you run your sprinklers through a full schedule, inspect your lawn for overly wet areas or muddy patches, which may indicate a leaky underground pipe. Also look for dry patches, which may indicate the need to adjust the sprinkler heads in that area or your watering schedule in that zone. 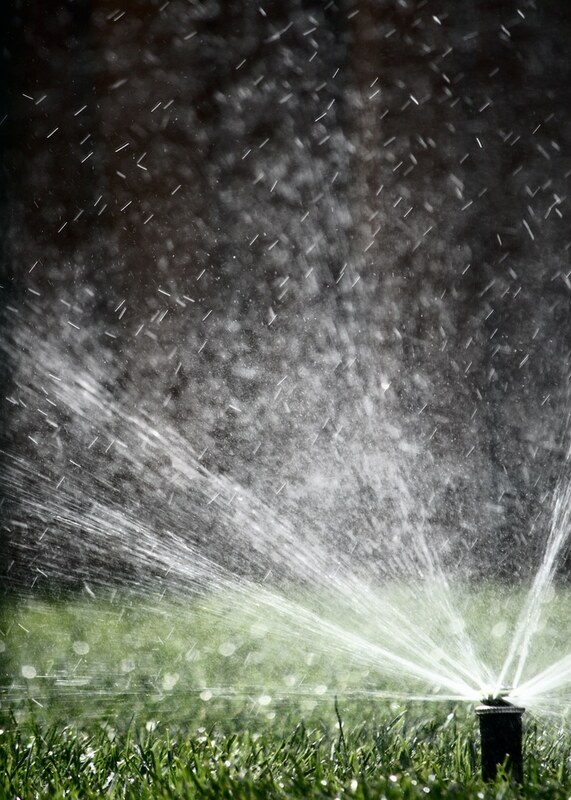 As the summer progresses, keep an eye out for any changes to your sprinkler system. An ounce of prevention is worth a pound of cure! When Can I Water My Lawn in DFW? Spring is also a good time to refamiliarize yourself with your cities watering restrictions. Water is a precious resource that can’t be replaced, so most cities regulate the timing and frequency of lawn irrigation to conserve water, especially during droughts. Click the links below to review the watering regulations for a number of DFW cities, and if your city isn’t listed, simply google your city’s name + “watering restrictions 2017”.